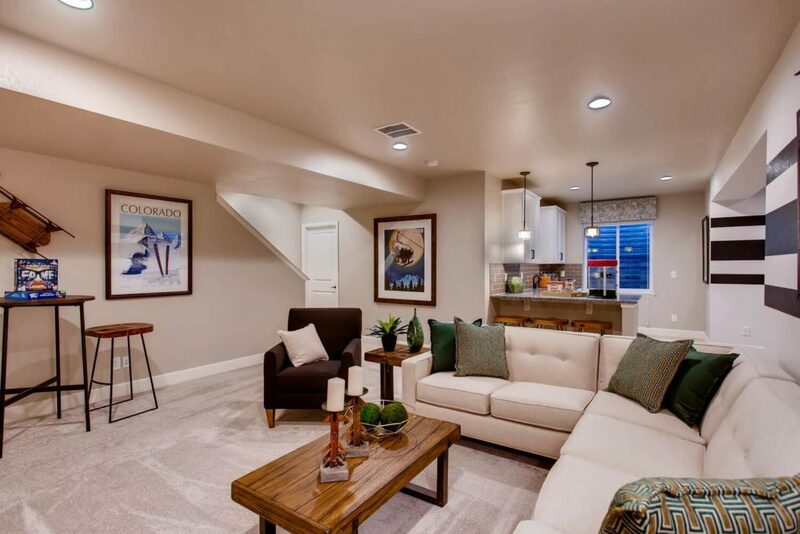 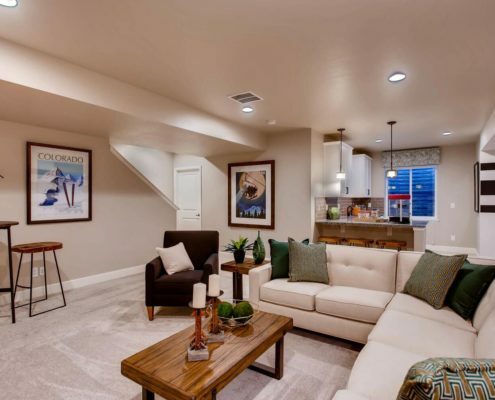 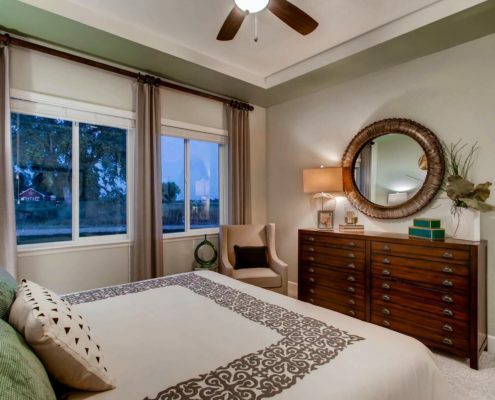 These luxury homes feature inspired floor plans with up to six bedrooms targeting the more traditional single family community with young teens. 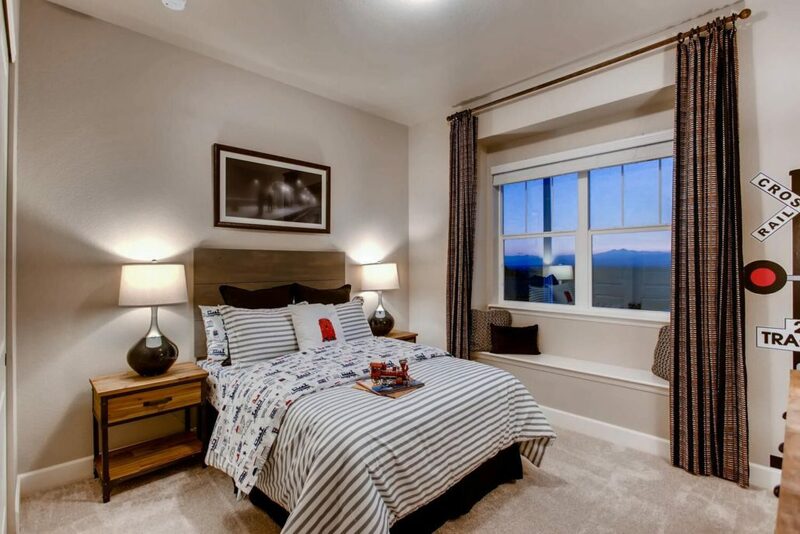 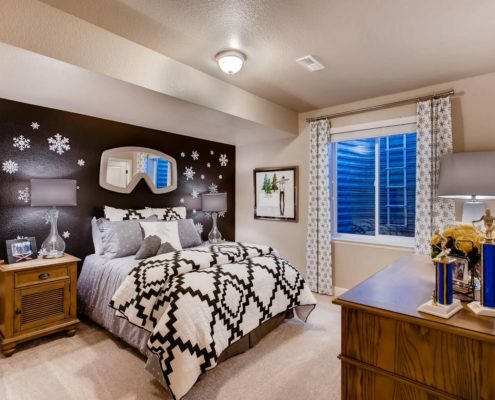 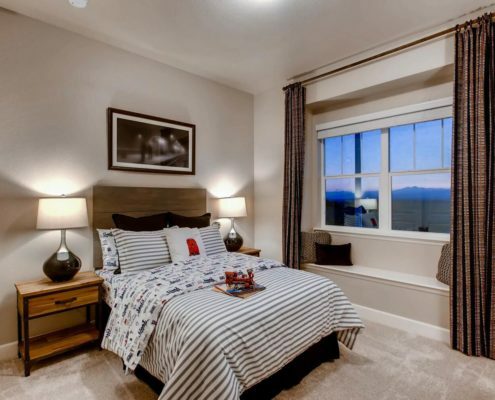 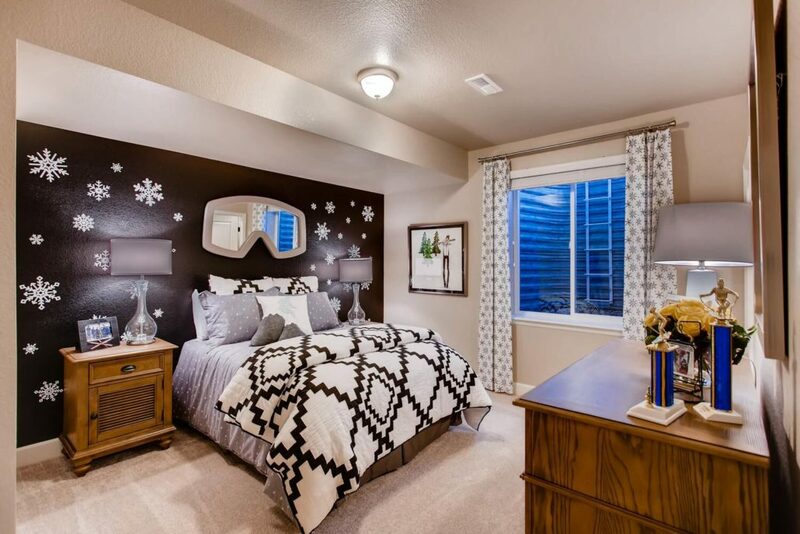 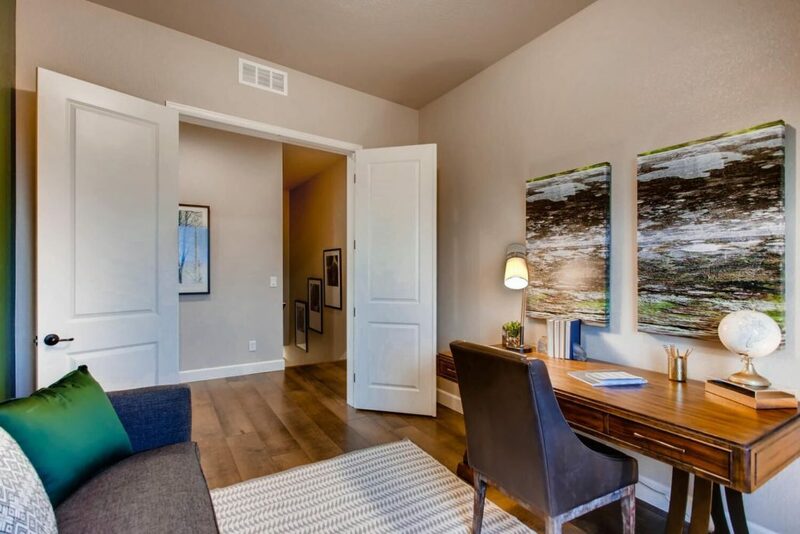 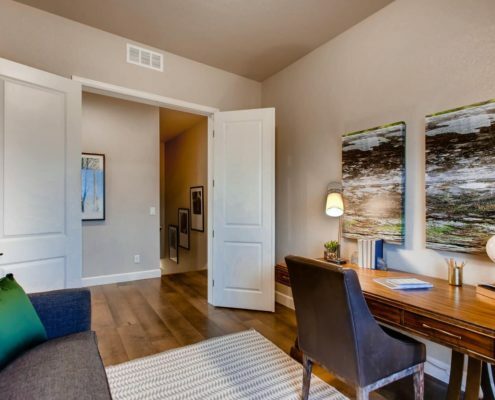 These models are located miles from the Rocky Mountain National Park, and the downstairs showcases a love of skiing and the geography of Colorado. 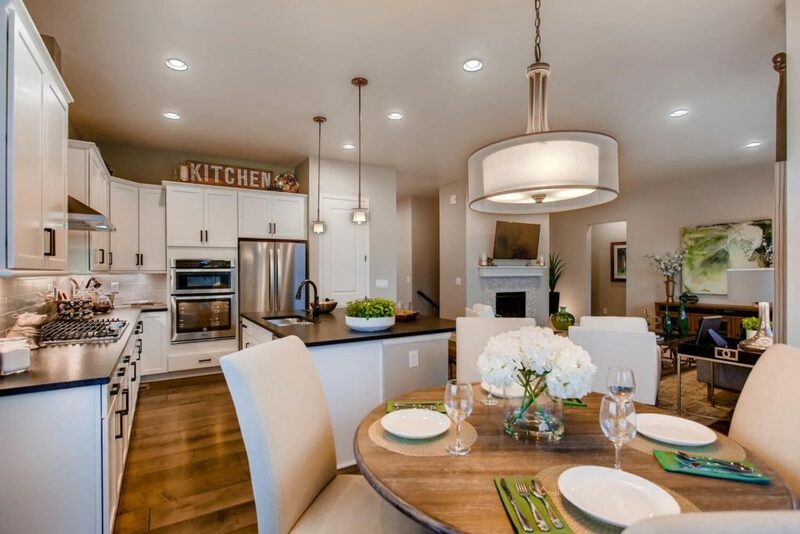 A neutral palette with pops of emerald green plays into the family’s love of the outdoors, while also keeping the interior fresh and lively. 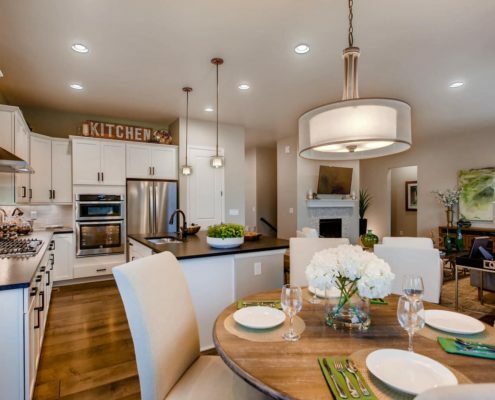 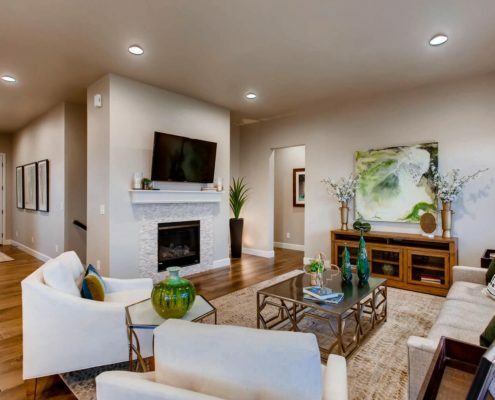 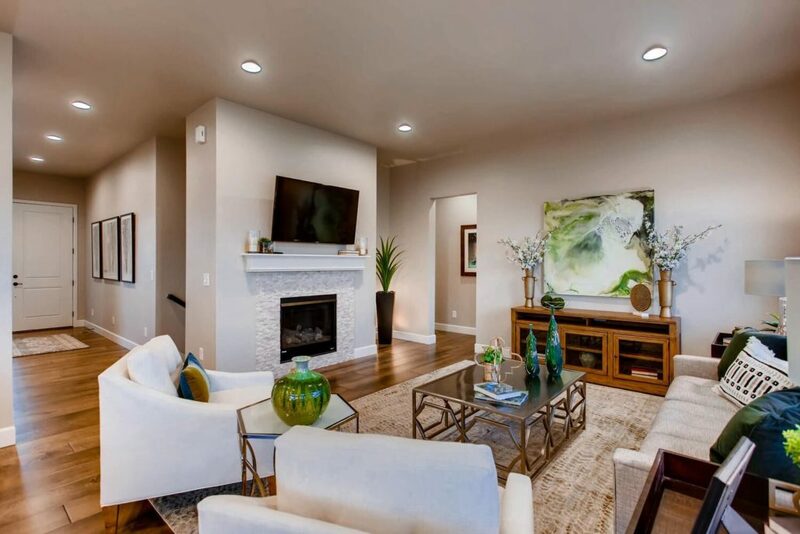 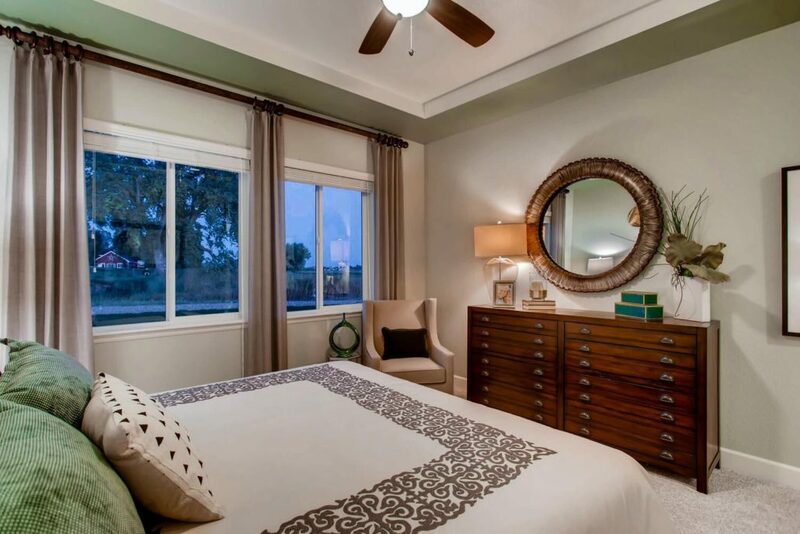 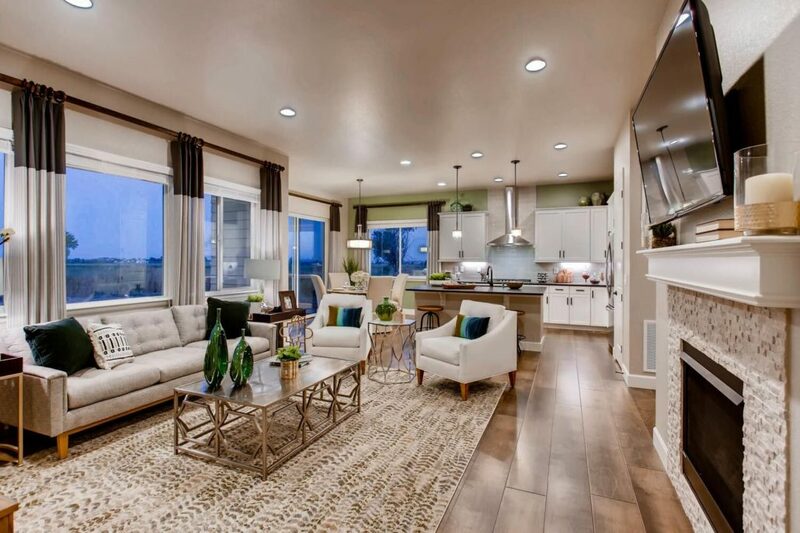 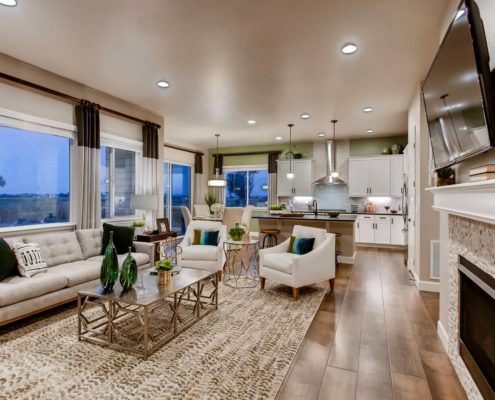 Elegant furnishings paired with rustic finishes reflect the warmth and sophistication that Denver has to offer.